← Free cash money! Papers wanted. W. Dale Nelson at the AHC, March 22 @ 3pm! 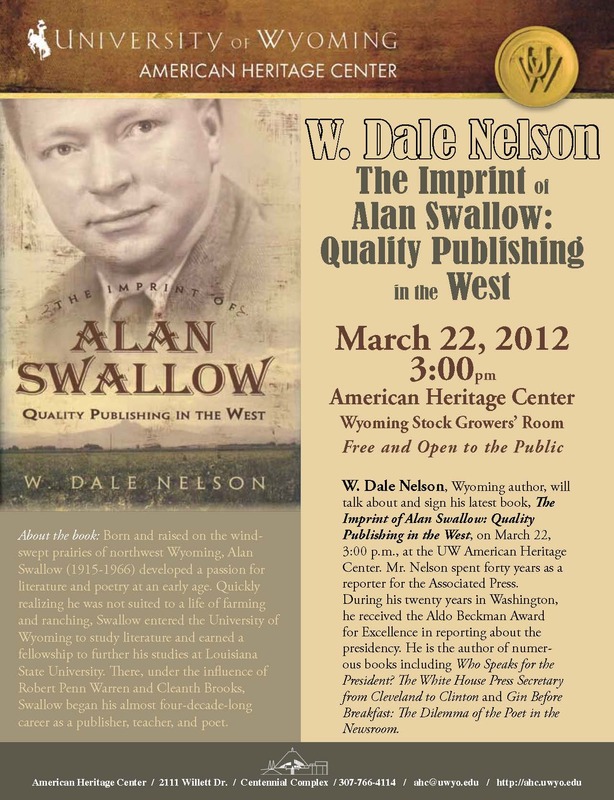 W. Dale Nelson, Wyoming author, will talk about and sign his latest book, The Imprint of Alan Swallow: Quality Publishing in the West, on March 22, 3:00 p.m., at the UW American Heritage Center.